In small bowl, mix cream cheese and mayonnaise. Stir in bacon. Spread cream cheese mixture over each tortilla. Top with turkey, tomatoes and lettuce. Roll up tightly. 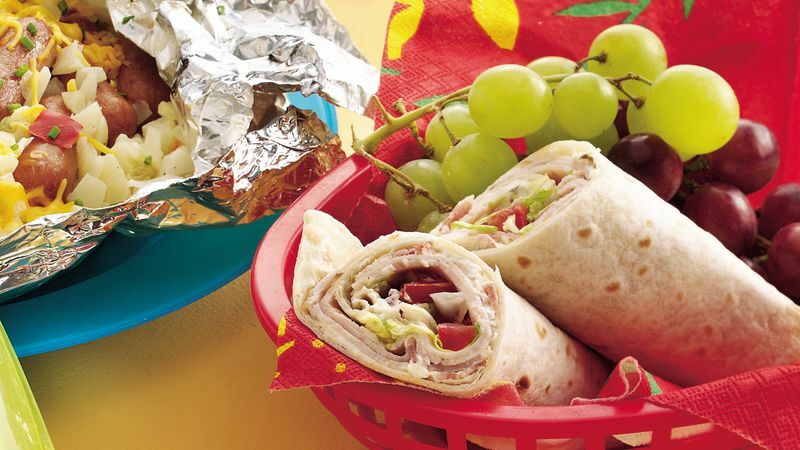 Serve immediately, or wrap each roll-up in plastic wrap and refrigerate up to 24 hours. You can use the regular flour tortillas or for a change of pace, why not try spinach or one of the other flavored tortillas?